Refreshing cranberry mist helps moisturize, tone and revitalize the skin for an instant boost of antioxidants and hydration anytime, anywhere. 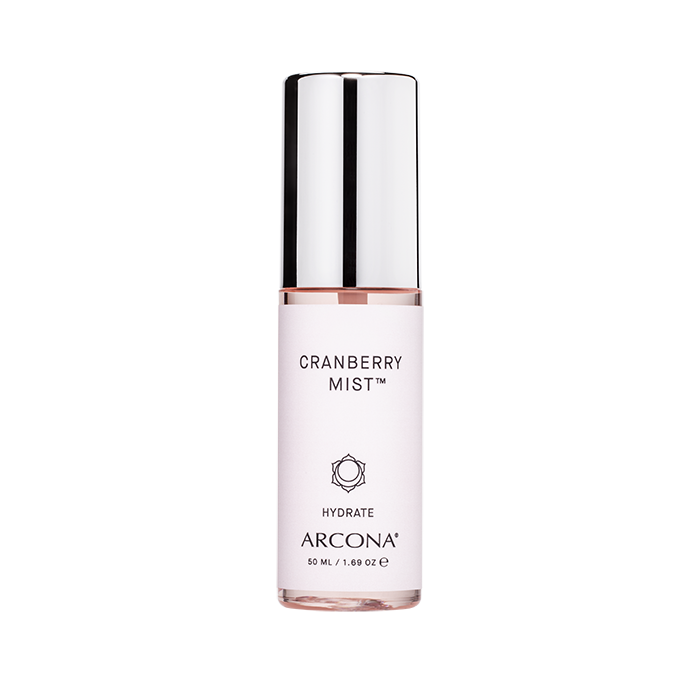 Vitamin C rich Cranberry Extract, helps brighten and defend against free radicals. Mineralys, a deep sea water rich in minerals Manganese and Zinc, remineralizes and detoxs the skin. Moringa Seed Extract hydrates and replenishes for a glowing, radiant complexion. Perfect for everyday, anytime use to instantly refresh and hydrate. Defends the skin against free radical damage. Helps to remineralize and detoxify the skin. Finishes skin after makeup application. Use daily as needed. Use anytime to refresh and hydrate.